The new Maruti Ritz that will be launched this festive season is likely to come with an automatic transmission variant as well. The demand for automatic cars in India is slowly gaining momentum. However, the Ritz automatic will be only on the petrol variant of the car, and not the diesel. It will be a four-speed automatic, mated to a 1.2 litre petrol engine that puts out 86 bhp of power. This is the same engine and gearbox combination that is offered in the Maruti Dzire VXi AT. An automatic transmission on the Ritz will make the car appeal better to city buyers who want the convenience of an automatic especially in bumper-to-bumper traffic. 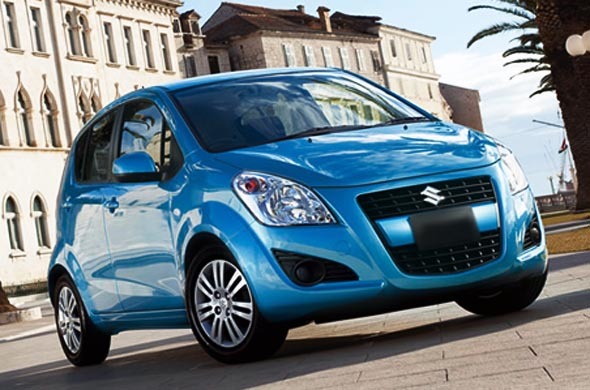 Maruti currently offers automatic transmission options on the A-Star, Dzire and SX4, in cars under Rs. 10 lakh. Earlier Maruti also offered an automatic variant on the Wagon R (AX) and the Maruti Zen (AX). As of now, the most inexpensive automatic car you can buy is the Maruti A-Star automatic that is about Rs. 4.6 lakh ex-showroom. The Hyundai i10 Sportz automatic is another good option. A report in the Hindu BusinessLine says about 20% of A-Star sales are of the automatic variant. Sadly, if you are looking for a diesel automatic, there are none under Rs. 10 lakh. The cheapest diesel automatic that you can buy is the Hyundai Verna CRDi SX AT, that’s priced at Rs. 11.5 lakh ex-showroom. Expect the new Ritz to be launched by the beginning of October, and cost about Rs. 80,000 more than the manual variant, unless Maruti decides to absorb some of the cost and price it lower. « Five good ideas to modify a Maruti Gypsy!